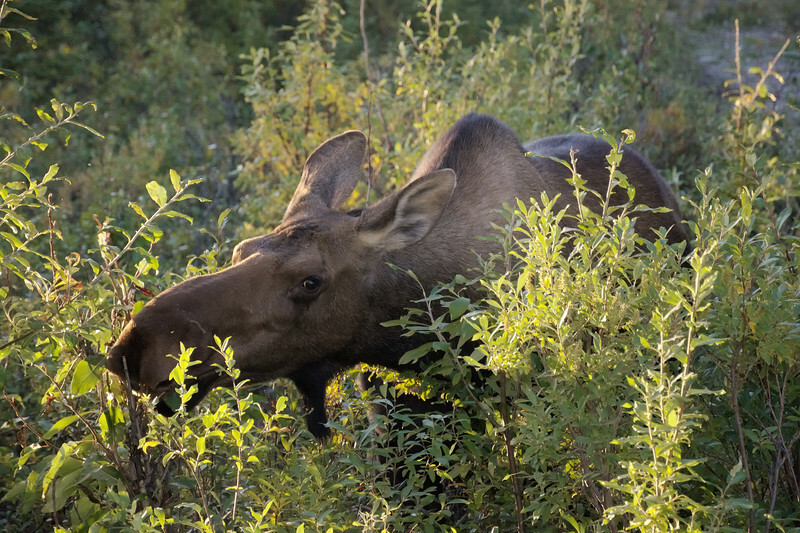 Evening meal time in Denali National Park. I took over 30 photos of this mama and her calf feeding on willows, and then the calf nursing right in the middle of the Park road. That set starts here, if you'd like to take a look.